I must confess, I can be picky when it comes to tourbillons (first world problem if there ever was one!!). They are seen by many to be the crowing achievement of watchmaking. And this can be true if, like Moritz Grossmann you develop your own from scratch! However, they all too often are bought in from third parties and look incredibly brash and tasteless. This is, however not the case here. I had the opportunity to get hands on with the mighty impressive BENU Tourbillon from Moritz Grossmann this week - and my god, what a piece of kit! 1. Its beautiful! It's refined, and designed for an educated palette, with a white gold 44.5 mm case. 2. The movement is 38.4 mm (which fills the case, which isn't always the case from top manufactures). It is the manufacture calibre 103.0, consisting of 245, manually wound, adjusted in five positions and made out of German silver. 3. The dial is solid silver, three-part construction with Arabic numerals. And there is a patent pending on the sweep minutes, which crosses the scale segment from 25 to 35 minutes with a separate scale swept by the extension of the minute hand on the opposite side. 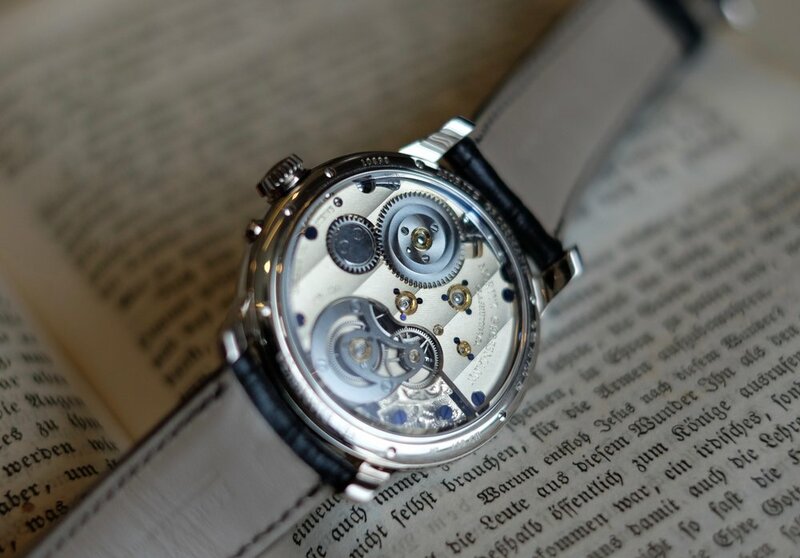 For further info head over to Moritz Grossmann here.